Entercom Houston is a group of six stations, serving the greater Houston area. I work as Director of Technical Operations, meaning that I oversee purchasing and configuration for those Entercom stations. Several years ago, we replaced our business phone system with a SIP-based system. That meant we needed to replace our old hybrids with new VoIP hybrids. I purchased two Comrex VH2 two-line VoIP hybrids to use in production rooms that previously had no phone capabilities. While we were using them in that capacity, they were reliable – I never had to think about them, and they did what they were meant to, which is what you want from a hybrid system. Shortly thereafter, we did a complete overhaul of our broadcast systems and replaced every production room phone. However, we still had our VH2 units, and I felt that there was another purpose they could be used for. We had been using ISDN codecs as a disaster recovery audio tool at two of our AM transmitter sites. The provider had been raising ISDN BRI pricing in our area for a long time, and ultimately increased our monthly recurring ISDN payment from $100/month to $1K/month per line. We needed a more cost effective solution. The VH2s were the perfect answer. We set them to auto-answer, meaning that if our primary audio goes off the air, we can call into the VH2 and use our remote control system to switch the call onto the air. We use a SIP provider that can handle G.722, which is good enough for AM radio. And in an absolute worst case scenario, our sister sports station in Dallas can call in and put one of their studio lines on so that we can keep something on the air. Because VH2 is such a reliable piece of equipment, I know we can trust it to work in case of an emergency. 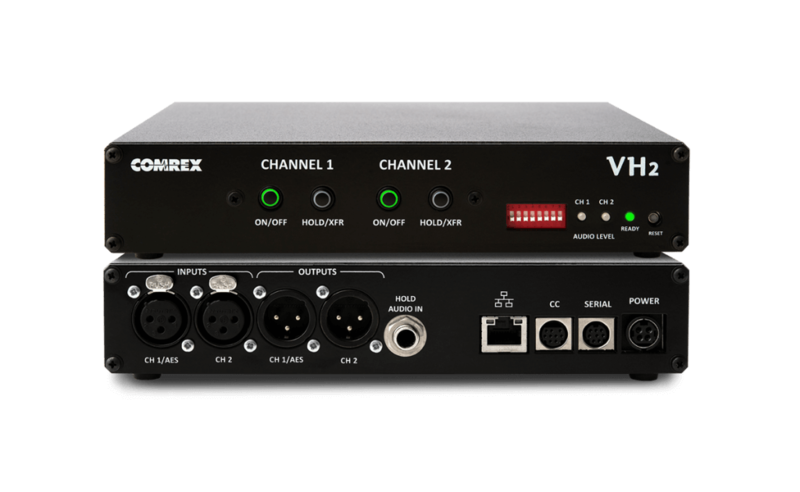 While it’s designed to be used in a more traditional hybrid capacity, VH2 is versatile enough that I can use it for a totally different function. Robbie Green is the Director of Technical Operations for Entercom Houston.